Here's a look at the white paper test. Not a very grandiose name for such a great model Dave. I'll be using it as The Institute of the Incorporated Literary and Philosophical Society of New Elysium*. * I'll drop the 'Tudor' because I don't want it to have a long winded title. 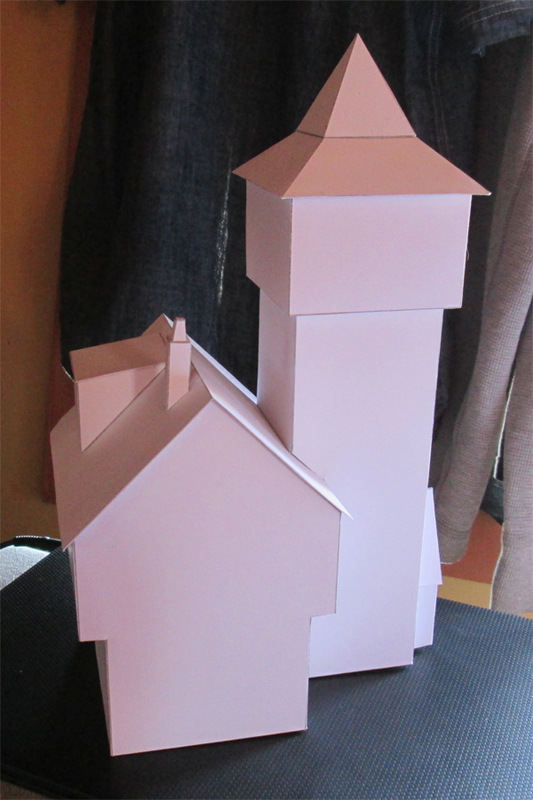 I decided this one would work well as a clock tower and attached clock-keeper's house. This one will be available to purchase tomorrow, and the Rake's Corner version will be available next Thursday. Very nice! would make an interesting Bell tower s well for those periods before clocks, and Tudor architecture is readily recognizable, so the naming convention makes sense. I've always loved your work, and will be adding this to my collection! 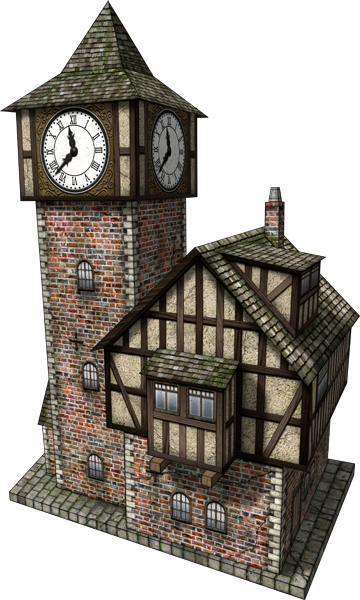 And looking forward to the eventual release of "Tudor Building #100"
I decided to call this one simply "Clock Tower #2", but I have other Tudor-style buildings in the queue, so Tudor House #3 might be coming along soon.